FT Minister, Khalid Samad is open to an option for sales of the Kuala Lumpur Land and Mines Department to the owner of the Medan Imbi building. The building owner had put the offer on the table. Khalid did say one of the other options is for the land owner to confiscate the property. Hopefully DAP's Tan Kok Wai would come to his senses and allow the Minister to do his work. Dealings by DBKL or government in areas such as Bukit Bintang may not follow the norms. It is an area where bureucrasy and even rule of law may not work. However, a scary incident involving Maria Chin's son raised concern. It could be a case of bureaucrasy may not find the answer. It is similar to political interference that may have failed justice for the late fireman Muhammd Adib. On Sunday, after the Cameron Highland's by-election that brought in the first Orang Asli Member of Parliament in history, Maria Chin's 26 year old son was stabbed in a reported botched robbery while jogging at a park. Surely it would not make sense to link the incident to politics or the result of the by-election. But, why was no money or possession taken away by the assailant? According to Sundaily.com, police was reported to have a positive lead on the case. Petaling Jaya deputy police chief Supt Ku Mashariman Ku Mahmood said police investigators found few suspects fitting the description of the lone motorcyclist. However, these suspects had not caused physical harm in the past. The police will then need to investigate further the motive of the stabbing that is not robbery as media intend to divert. 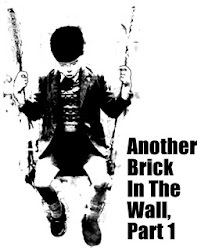 The fact that it happened after the CH by-election raised a long shot possibility that it could be political. Prior to the CH by-election, Bersih 2.0 warned all parties to stay clear of electoral offense. But Bersih 2.0 defended DAP on the viraled images of DAP volunteer by the name of Vanessa giving "duit minyak" in contradiction to the basis of the annulled GE 14 results for CH was due to "duit minyak" too. The judgement clearly mentioned payments made to volunteers are considered as electoral bribe. Bersih 2.0 warned Ministers holding events prior to the by-election was principally wrong, but were not sufficiently vocal on Ministers using government assets to campaign. 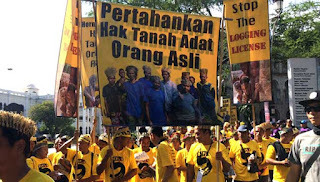 Nothing strong was heard from Bersih 2.0 of the direct involvement of the Orang Asli Department in PH campaign to Tok Batins and threats by a PKR Senator except call for the position of Tok Batin be elected and not appointed which is to be consistent with their call for local election. . It seemed double standard by Bersih 2.0 to seek explanation from Pahang MB for allegation of threat. However, it could not be the reason for stabbing on Maria Chin's son. It is not UMNO to do so, especially on something trivial as election by-laws. Such is the democratic obsession of the wife of alleged communist suspect, the late Yunos. 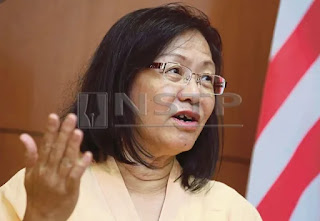 Maria Chin was involved with Siti Kassim in the lawsuit by the Federal government against Kelantan government on behalf of the Orang Asli Temiar tribe. While the timing was politicise to help DAP cause at CH, it would not be a surprise that this human rights activist is glad Orang Asli found their way into Parliament and even may have assisted in a whispering campaign for retired policeman Ramli Md Nor. If she had done so, it would not have been a police set-up to threaten Maria Chin through the son. This is despite Pakatan Harapan fanatics could do anything for politics even concocting slander against the police. Maria Chin may have annoyed the police. She hailed plan to enact, amend and repeal 113 laws, which include abolishing death penalty and preventive laws they dubbed as draconian such as POTA, SOSMA, Sedition act, etc. She lambasted the government for retaining POTA and SOSMA. Still, it is unlikely for police to do such a thing on the son and pre-empt a rumour that ISA might be reinstated in exchange for the abolishment of Sedition Act. Police and Maria Chin could negotiate on her lawsuit for a past detention under SOSMA. It cannot be police and it is not likely UMNO or BN as they won handsomely at the CH by-election. Thus one possibility is that it is a politically motivated warning. Winning CH was strategically important for DAP and they wanted to win badly. One political conspirist suspected Maria Chin's son was stabbed for her support for the first Orang Asli to enter Parliament. What would be the proof? Anyway, thank Allah that her son is out of danger. Politics is for the good of nation and people thus no wrong should be done to put things right. Police must act without fear or favour should politics be the motive.